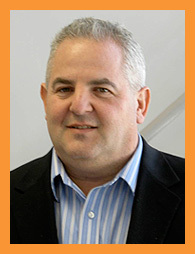 Barry Tahlor, CTO, is a co–founder of Innovative Applied Sciences. He has more than 25 years of experience with a hands–on approach to lead the development of advanced computing technologies to solve the complex problems of commercial and government clients. His vision for Innovative is to provide clients with the enterprise information technologies needed to compete effectively in today’s dynamic, information-based world. He holds a Bachelor of Science degree in Computer Science from the State University of New York in Stony Brook, with a minor in Electronics and Economics. Prior to Innovative, Mr. Tahlor was a founding member of Dot4, Inc. which serviced the real–time industry in software engineering. At Dot4, Mr. Tahlor’s executive responsibilities included legal and administrative obligations, marketing and public relations. Mr. Tahlor was also responsible for management oversight of key Dot4 projects. Prior to Dot4, Mr. Tahlor co–founded Small Systems Solutions, a real–time software services firm. Earlier in his career, he also held a number of positions at Concurrent Computer Corporation a leading supplier of real–time computer systems where he was responsible for technical and marketing support for major defense, flight simulation and financial information system programs on a global basis. Mr. Tahlor began his career architecting numerous real–time software development projects at Fairchild Republic Corporation, an aircraft manufacturer. At Fairchild Republic, Mr. Tahlor was one of the original architects of the flight simulation system for the A–10 aircraft.